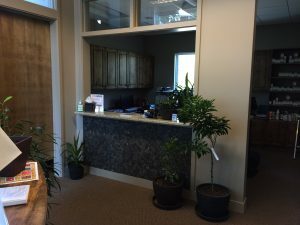 One of the first things new patients notice about our office is all the greenery. We have about 200 plants in all – an expression of Dr. Wall’s love for seeing life flourish, and not just in plants but people, too. After all, all life is connected. That’s been the essence of holism since the term was first coined back in the 1920s – an offshoot from the Greek term holos, meaning “whole.” It signals the basic interconnectedness of everything. Traditionally, dentistry has been anything but holistic. Even today, dentists are largely taught to view the mouth in isolation. They’re trained to fix problems, like a plumber or a mechanic, without considering the effects their fixes may have on the whole. This is how you wind up dealing with problems like mercury amalgam “silver” fillings, for example, or fluoride, a known neurotoxin. Yet science has shown us that, indeed, what happens in the mouth can have wide-ranging effects. Perhaps nowhere is this more clear than in the case of gum disease, which is now linked to an ever-growing list of related inflammatory conditions. These include heart disease, stroke, diabetes, rheumatoid arthritis, Alzheimer’s, and some cancers. So we look way beyond the usual things like oral hygiene and limiting sugar. We look at the diet as a whole and stay alert to nutritional deficiencies that may be compromising your health. We consider your exercise, rest, and sleep habits. We consider your stress levels, lifestyle, and environmental exposures to toxins. Every factor that can impact your overall health can impact your teeth, too. The health of the mouth depends on the health of the body, and vice versa. Because of this interconnectedness, we do dentistry that addresses the health of the whole, as well as the teeth. That starts with favoring the least invasive, most conservative treatment possible. When treatment is called for, we make sure that the materials we use will be safely accepted by the body. Biocompatible materials such as BPA- and fluoride-free composite for fillings or ceramic for implants are a must. We also use powerful, non-invasive therapies such as ozone to battle harmful bacteria and cold lasers or biomodulation for chronic pain. We use digital imaging only to minimize the amount of radiation you’re exposed to when x-rays are necessary for Dr. Wall to correctly diagnose a problem and create a sensible treatment plan for you. But perhaps most of all, we’re devoted to giving you the information you need to understand both your current health – oral and systemic alike – and how to get it to the level you’d like it to be at. We want your health choices to be informed ones. And that’s why we’re starting this blog – to share this kind of information with all who might benefit from what our team can teach. As we go forward, we look forward to connecting with you. 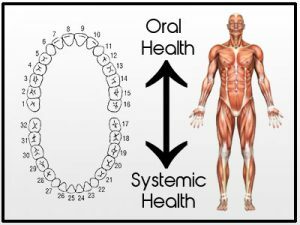 Are there specific oral health issues or holistic dental treatments you’d like to know more about? Let us know in the comments! Note: We can’t comment on specific health situations or offer advice in this forum. But if you have personal questions about your oral health, we’d be glad to talk with you by phone: 801-685-1197. We can’t comment on specific health situations or offer advice in this forum. But if you have personal questions about your oral health, we’d be glad to talk with you by phone: 801-685-1197. This blog is for educational purposes only. It is not intended as a substitute for individual health, fitness, or medical advice.